American Jordan Speith moved into the lead after the first round of The Masters as Sergio Garcia equaled the worst score for a hole in the history of the tournament on the opening day at Augusta. 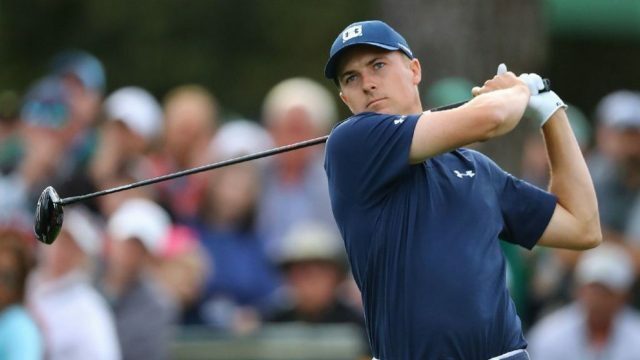 Spieth, winner of The Masters in 2015, sits in top spot two shots ahead of the rest of the field after he carded a six-under-par 66 at the Augusta National Golf Club in Georgia. Defending champion Garcia endured a nightmare on the par-five 15th as he took 13 shots after hitting his ball into the water on five different occasions. The 38-year-old Spaniard, whose chances of reclaiming his title are all-but over, eventually one-putted for 13. It equaled the Tom Weiskopf in 1980 on the par-three 12th and Japan’s Tommy Nakajima on the par-five 13th in 1978. “I don’t know what to tell you,” said Garcia. “It’s the first time in my career where I make a 13 without missing a shot. Garcia added: “I felt like I hit a lot of good shots and unfortunately the ball just didn’t want to stop. “I don’t know, it’s just one of those things. Spieth endured no such trouble as he produced a calm display and recorded five consecutive birdies on the back nine. The American pairing of Tony Filau and Matt Kuchar are Spieth’s closest challengers as they are both two shots back on four-under. Northern Ireland’s Rory McIlroy, seeking a fifth major, is among a group of players on three-under-par, alongside Henrik Stenson of Sweden and American Patrick Reed. Tiger Woods, competing at his first major since 2015, ended the day on one-over-par and is seven shots adrift of the leader.